Hurt in a Car Crash? 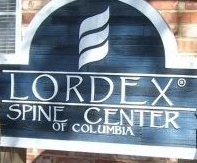 On behalf of Dr. Travis and Dr. Street welcome to the Lordex Spine Center of Columbia website. We hope that you find the answers you might have regarding auto accident therapy & treatments, the Lordex System, Chiropractic care, and our pain management therapies. Lordex Spine Center of Columbia is Columbia’s exclusive provider of the Lordex Lumbar Decompression Therapy System. For over 20 years Lordex has pioneered and led the way in spinal decompression therapy by providing effective equipment and therapeutic protocols to help doctors care for patients in need of pain relief. Lordex is the most effective option to manage your pain without using surgery. See for yourself, schedule an appointment today.